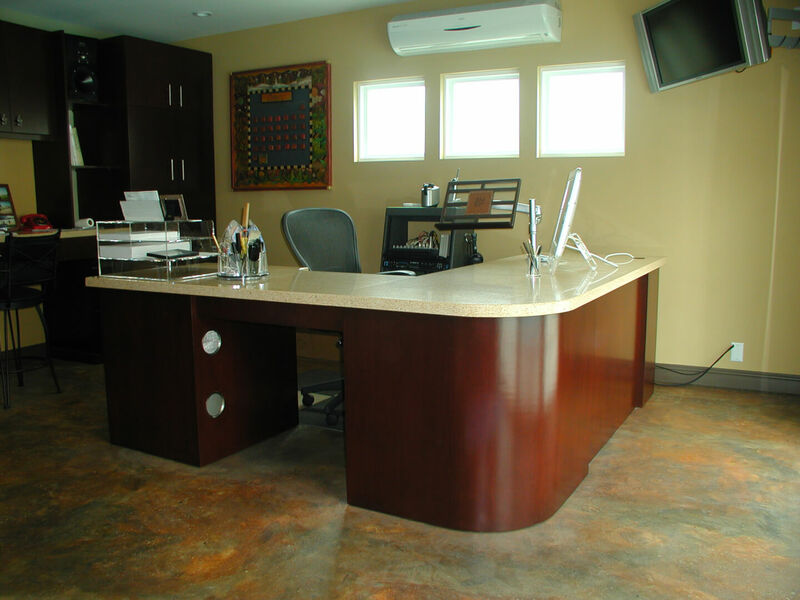 Film and TV music composer/arranger Tim Simonec wanted a place to work that suited his individual needs and the room that was attached to the back of his pool-side garage seemed like a great location. 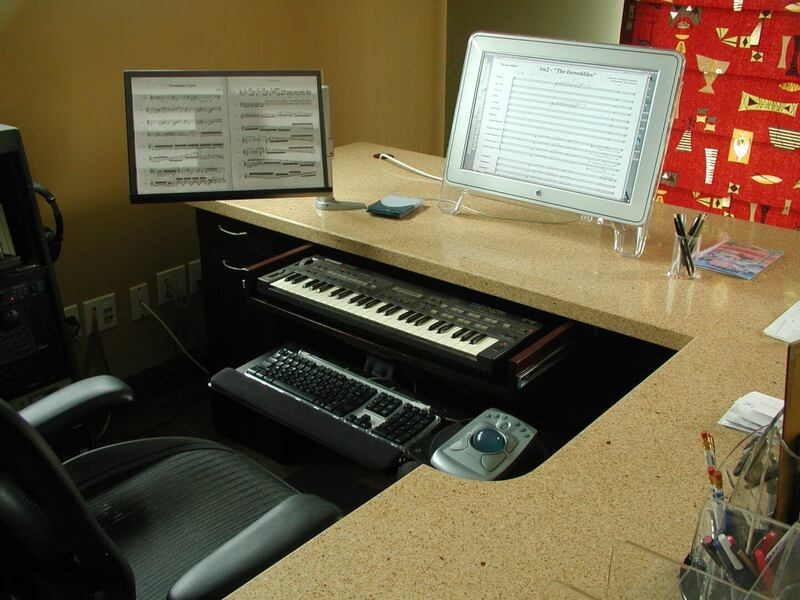 After a few meetings, the design evolved that would allow him to sit comfortably as he worked on two separate keyboards, (a piano keyboard as well as his computer’s keyboard that allows him to record his musical thoughts as written music). It’s humbling to think he worked on such films as The Incredibles, Ratatouille and Whiplash sitting at this desk as he composed and/or arranged their scores. 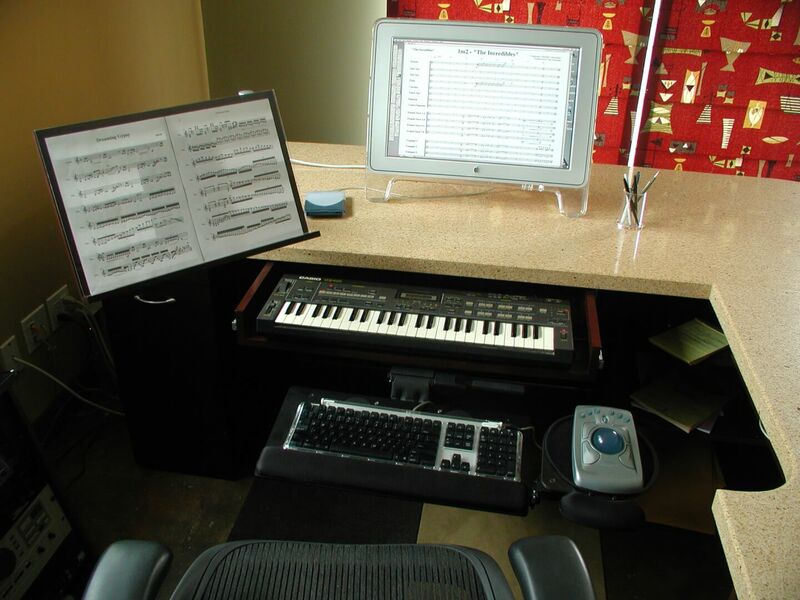 The ‘cockpit’ of the desk features two keyboards on ‘over-and-under’ slides so that both can be accessed from the seated position.The monitor and articulated music stand are able to be positioned at any comfortable viewing angle. Click on the picture to enlarge and you can see a page of the score for ‘The Incredibles’ on the computer monitor’s screen. 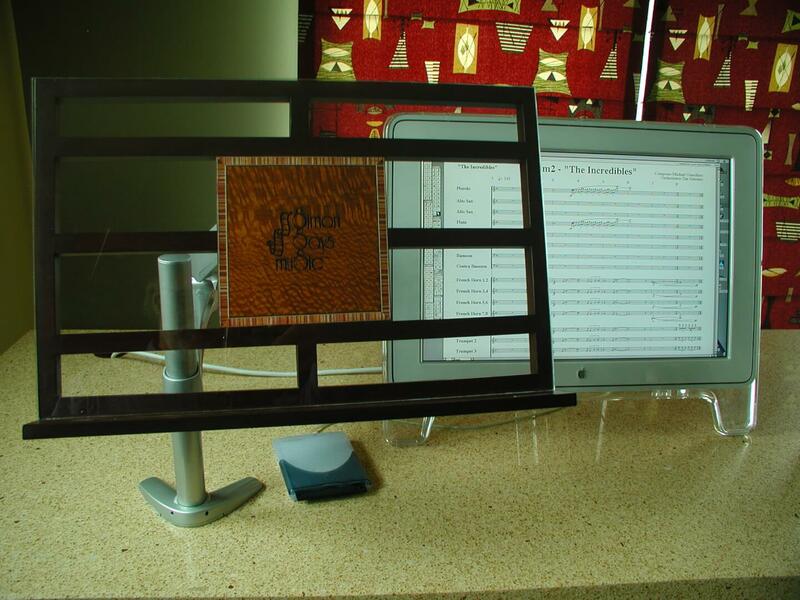 The music stand is attached to an articulated arm that, like a dentist’s tool tray, can be positioned as needed. 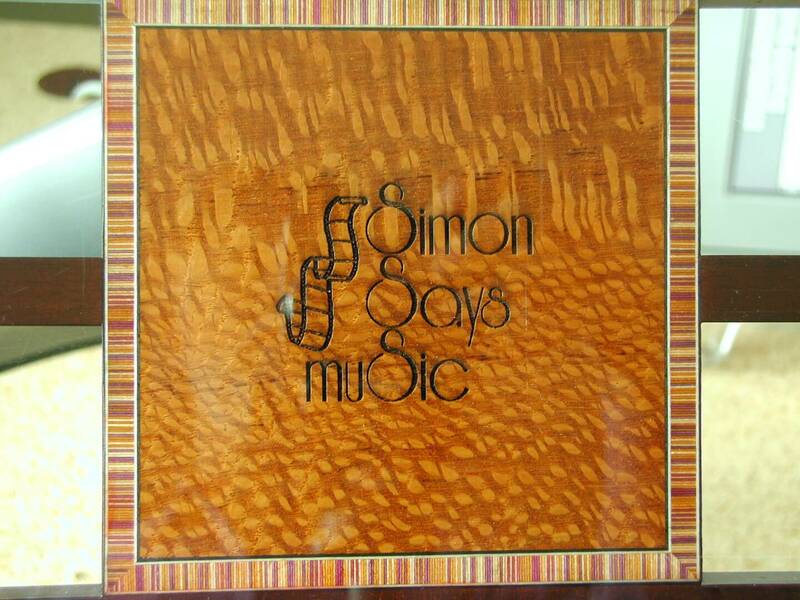 As a special surprise for a very special client, I added the inlaid center block on the music stand and had it laser-etched with Tim’s publishing logo.